Is it universal to have a difficult time finding the right pair of shoes? Is it the permanent condition of the tight-budgeted college student to settle for a so-so in order to balance design, material, comfort, and price? I for one always seem to be settling when it comes to shoes, especially at the turn of the season, when it seems that all at once I'm in need of warm-weather footwear and I can't remember what I wore before winter. These are by far the most flashy of the bunch, not my usual choice to be sure. I quite like them though, and they have a nonmetallic yellow as well which I mentioned and linked to here. Either way, I think they'd look wonderful with denim hot pants and button up shirts. Or to lessen the basic-ness of a jeans and t-shirt ensemble. This pair I realize is quite similar to the silver ones. I know, I know. But they don't have the bow! That makes them very different in my opinion because you could more easily wear them without looking too formal for a day of class. Really they'd work with any outfit I think, regardless of the color. The heel also looks quite low, although I suppose trying them on is the only way to know how comfortable they'd be for walking. Anyway, they're a color I wouldn't usually go for which is exciting! I was looking for a flat version of the strap design in the sandals above. 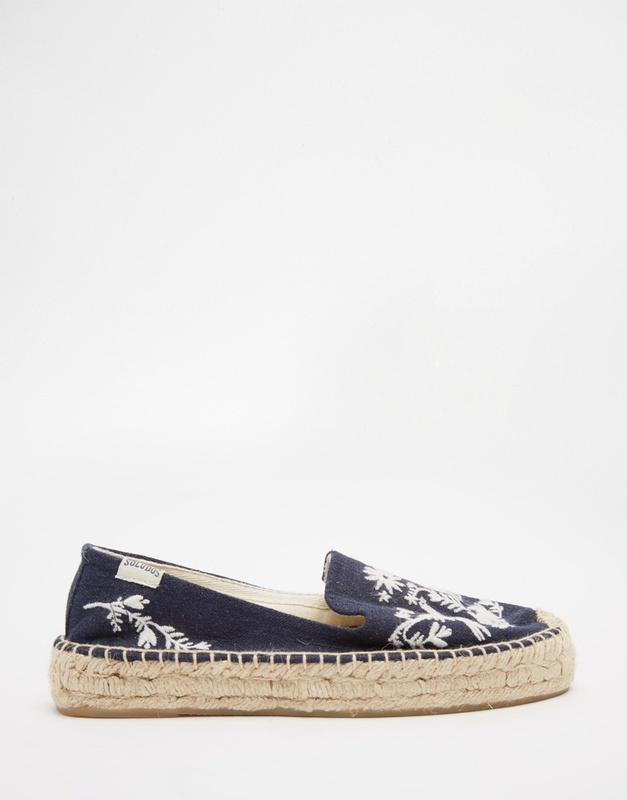 I found these espadrille beauties though, and they have the straps and the bow. I also don't usually go for paisley prints at all but I think in this case it's subtle enough in the scale and the colors to be cute. I'd wear them with absolutely everything to be honest. The look quite fresh and comfortable too which is always a plus. 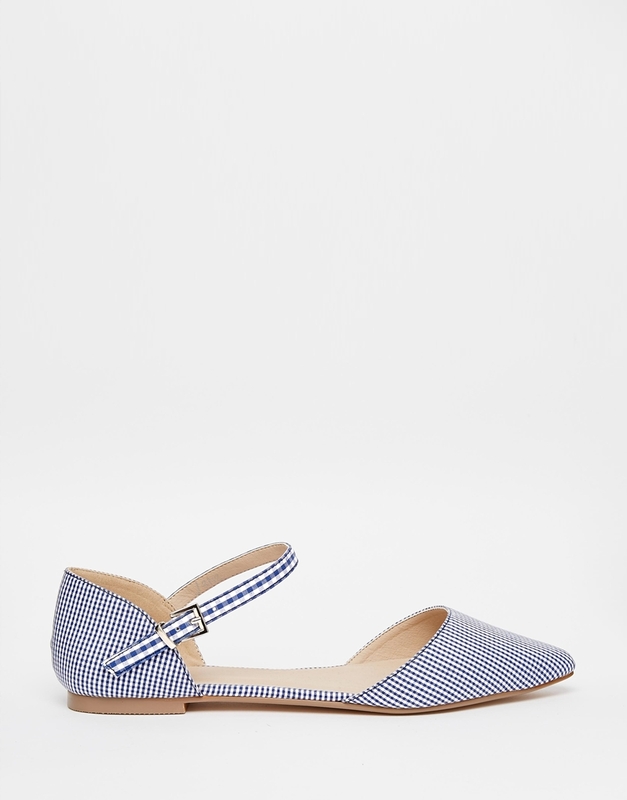 I like the shape, I like the gingham, and I like the shade of blue. Also, I have a pair of navy blue trousers that I never know what shoes to wear with other than white sneakers. I think these would work great. Good choice for dresses too, especially if you were wearing one of these bathing suits underneath for arriving at a pool party or something. Cute! Last but not least, I found these really great Soludos espadrilles. I've been eyeing their range with the cute little limes and piñatas on the front for a while but wasn't sure they'd be versatile enough. I think these ones take the prize though, the embroidery is adorable and the blue linen looks a bit like denim which would make them perfect for a variety of outfits. Jeans, hot pants, dresses, bathing suits. 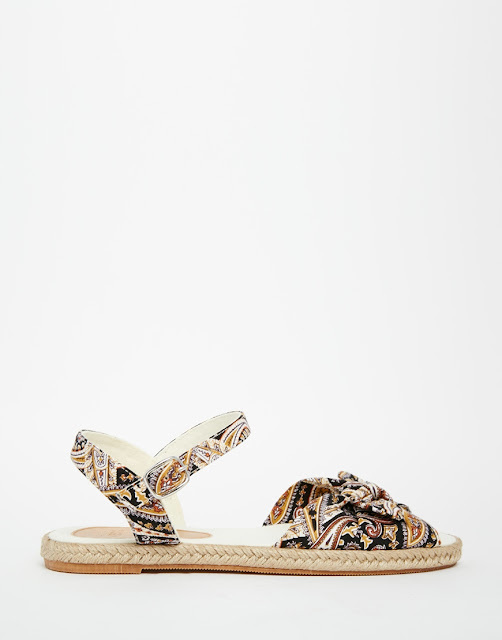 They'd look very cool with skinny jeans and peasant tops. All around great spring and summer shoes for sure.